Any of you that know us well, know that our family has no trouble talking about poo – in fact, we all think it’s 12-year-old-boy-funny as hell. This is why Poo~Pourri is one of those products that is perfect for the Bailey-Klughs, because we can finally, officially declare that our poo doesn’t stink. Poo~Pourri offers a variety of pleasant scents to mask those pesky bathroom smells, while still recognizing that going poo is a natural thing that we all do. We have bottle of Poo~Pourri Secret Santa fragrance (peppermint, vanilla and citrus) right on top of the toilet in all of our bathrooms, and boy does it come in handy. I swear you will thank me for this – it totally works. Shake your chosen bottle of Poo~Pourri (many scents to choose from). Take the cap off (remember, idiot proof). Spray 3-5 spritzes of Poo~Pourri into the toilet boil directly on top of the water. Enjoy all the goodness of sweet Poo~Pourri scent and none of the nasty jeez-where-did-that-come-from odors. Leave the bathroom sweet smelling, go about your day knowing you did a good thing for humanity. Save your hard-earned dollars to buy that fancy new throw pillow for Aunt Hazel, and look for deals that will make the holidays extra bright. For example, Poo~Pourri is truly the “Before-You-Go® Toilet Spray” and you can shop for some right now using our special discount code to get 20% off your order. Think of us when you are sitting on your throne, smelling all good and sh!t. So easy to order from PooPourri.com! 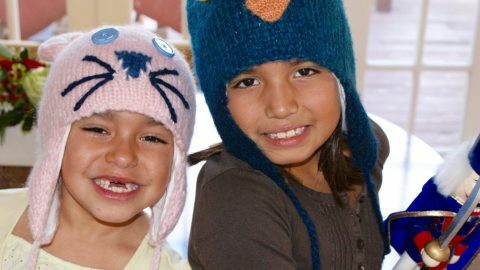 We love reading with the kids – even now when they just pretend to listen. Don’t know about you, but when our kids were little one of our favorite holiday story time books was Eloise at Christmastime. The girls used to love the adventures of that precocious little imp that drove everyone at The Plaza Hotel in New York crazy. (Come to think of it, that sounds strangely familiar). Another favorite was this hilarious little title called “Everyone Poops” by Taro Gomi. Masterfully illustrated and simply written, the story helps kids understand that poo is a natural thing that all living things do in one form or another. Why do some people go to such lengths to pretend they don’t? Or that theirs doesn’t stink? Well, we are here to tell you it does, my friend. It does stink. 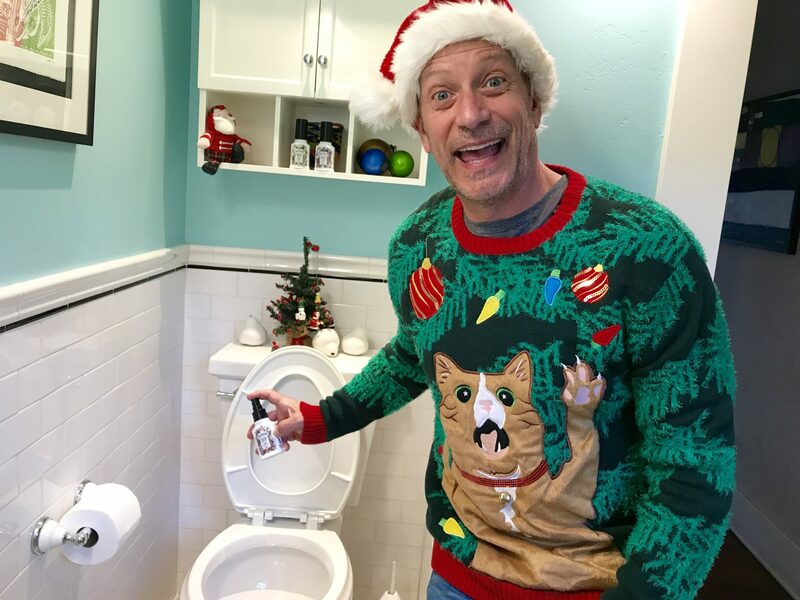 Ugly Christmas sweater or not, you can say your poo doesn’t stink when using Poo~Pourri. Spare yourself, your friends and your family the burnt matches and the orange peels and the various air sprays that smell like old ladies. Get some Poo~Pourri and be the hero of the house. Buy it because it’s funny, use it because it works! 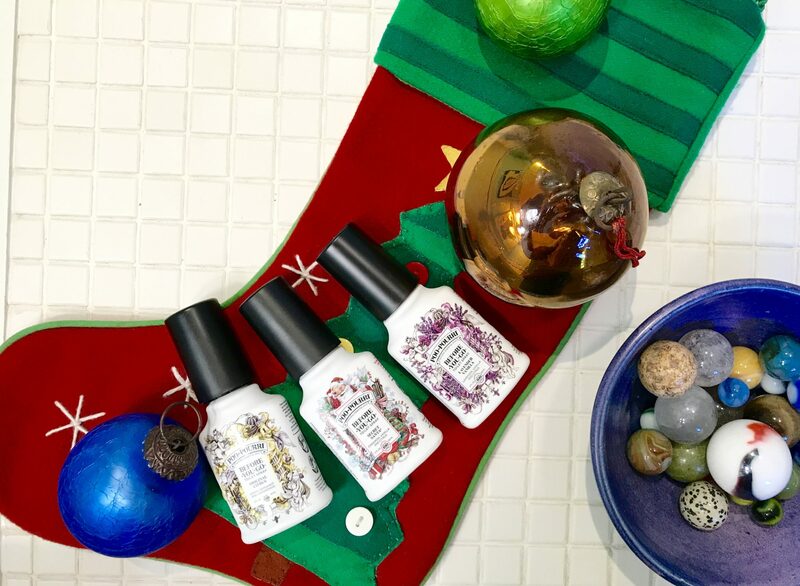 Poo~Pourri is the perfect stocking stuffer for that stinky someone!